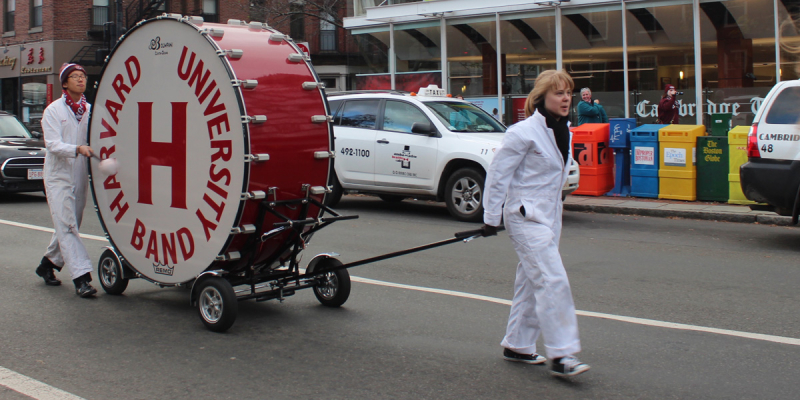 The Harvard Band is entirely student-run, from the writing of halftime shows to the arrangements of music to administrative work and financial planning. 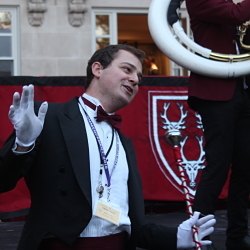 The five members of Senior Staff make sure the Band is in the right place at the right time—all the time. 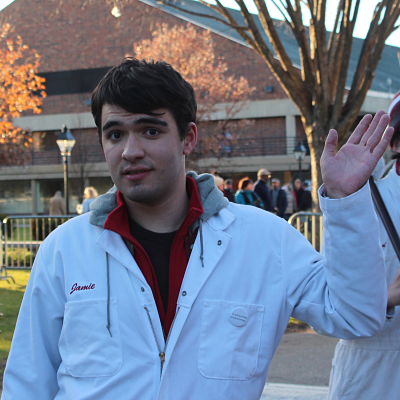 Manager: liaison to Harvard administration and public; manages finances and records; wears a hat. 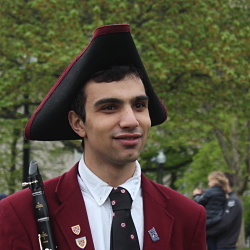 The current manager is Lucaian Al-Tariq '20 and they can be reached at manager@harvardband.org. Drill Master: writes halftime shows; wears a trench coat. 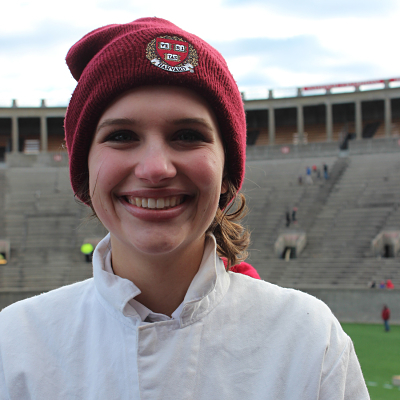 The current Drill Master is Sierra Garcia '21 and she can be reached at drillmaster@harvardband.org. Student Conductor: leads rehearsals; conducts during shows; oversees music library of old and new arrangements; wears a bowtie. 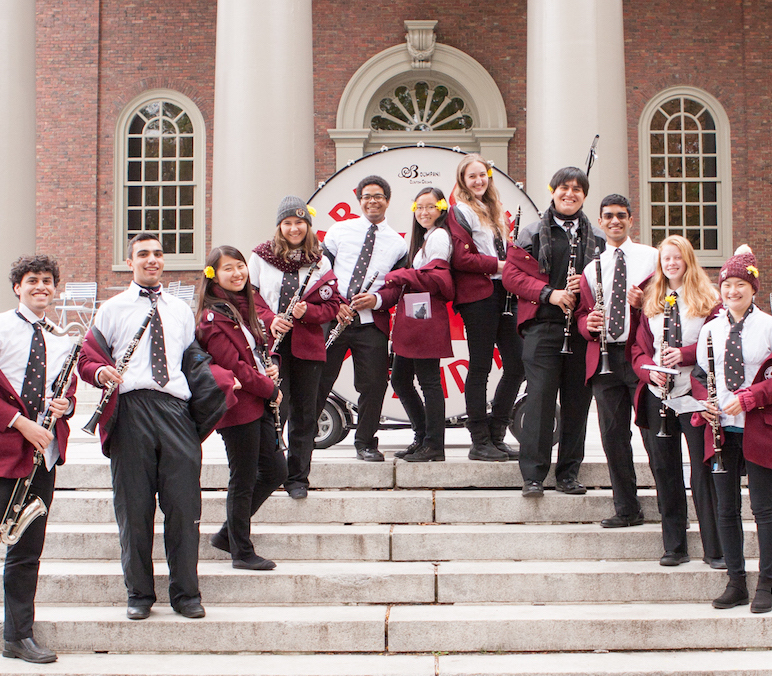 The current Student Conductor is Marcos Cecchini '21 and he can be reached at studentconductor@harvardband.org. 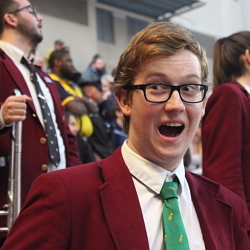 Drum Major: public face of the Band; leader of all parades; communicates with bands from other schools; wears a tuxedo. 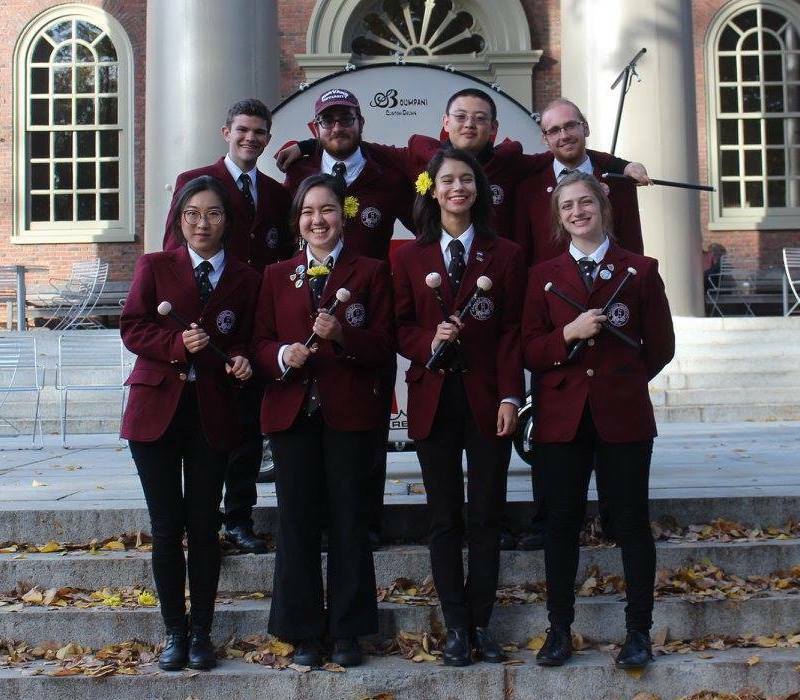 The current Drum Major is Mariah Dimalaluan '20 and she can be reached at drummajor@harvardband.org. Schneider: makes sure the Band is always having fun! Wears a green tie. 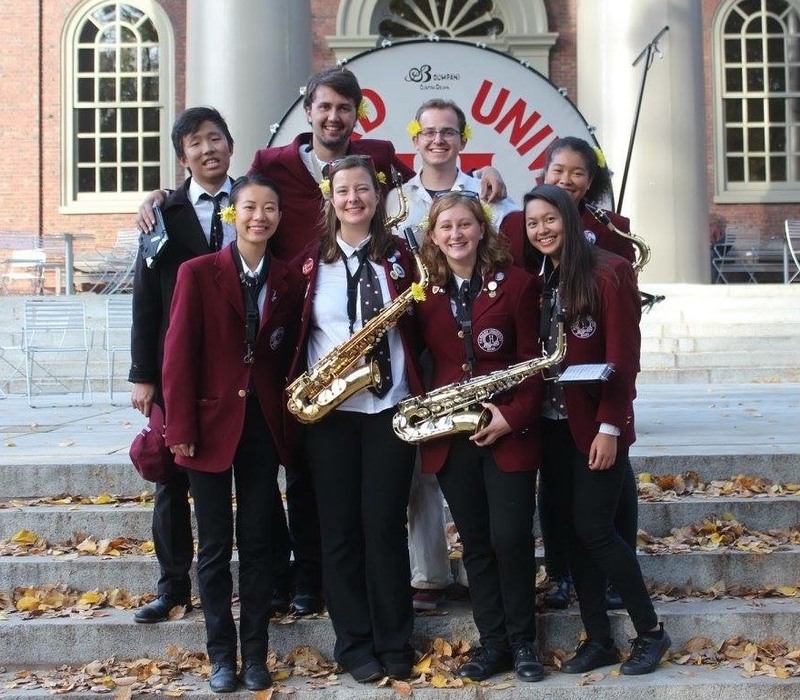 The current Schneider is Selket Jewett '21 and she can be reached at schneider@harvardband.org. 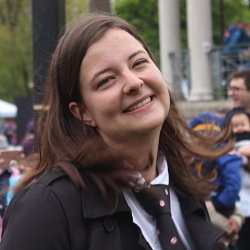 Reunion Manager [100th Reunion only]: organizes all things 100th reunion; wears a sash and tiara. 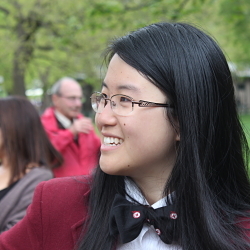 The 100th Reunion Manager is Jessica Bishai '20 and she can be reached at reunionmanager@harvardband.org. Besides the five Senior Staff positions, there are over 20 other staff positions to make sure that the finer details of the Band's operations don't slip through any cracks. 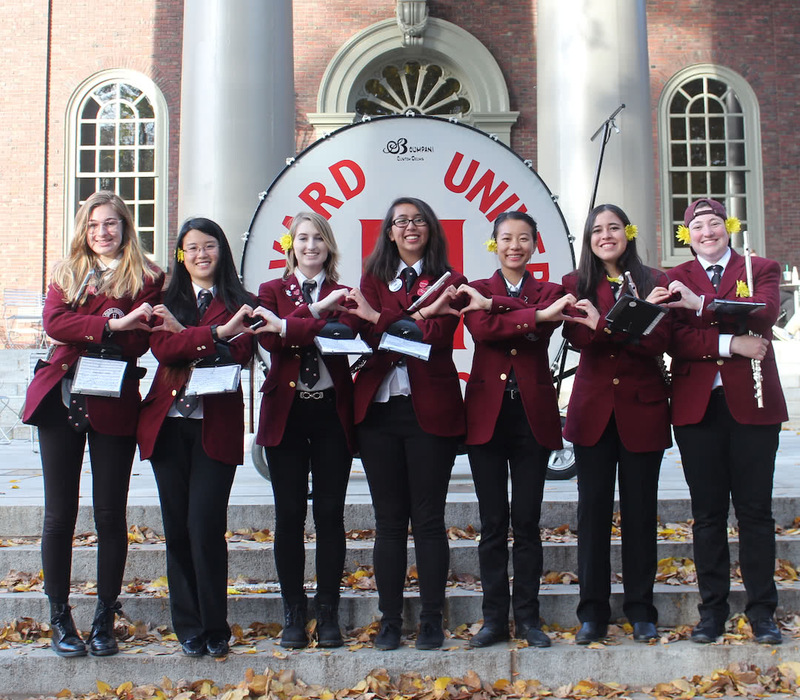 New members are eligible to run for a staff position after their first football season—in fact, most of the positions are held by freshmen and sophomores—and it is a great way to serve as a leader in an organization very early in your Harvard career. 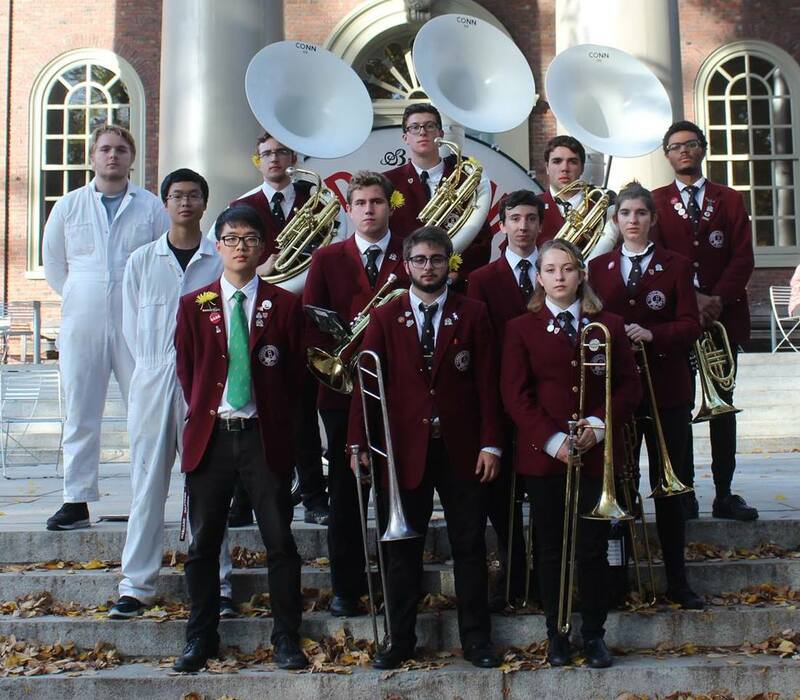 The Band fields all type of instruments—from tiny piccolos to huge sousaphones—with each instrument group making up a section. These sections work together musically in weekly sectionals and become close-knit families away from home. 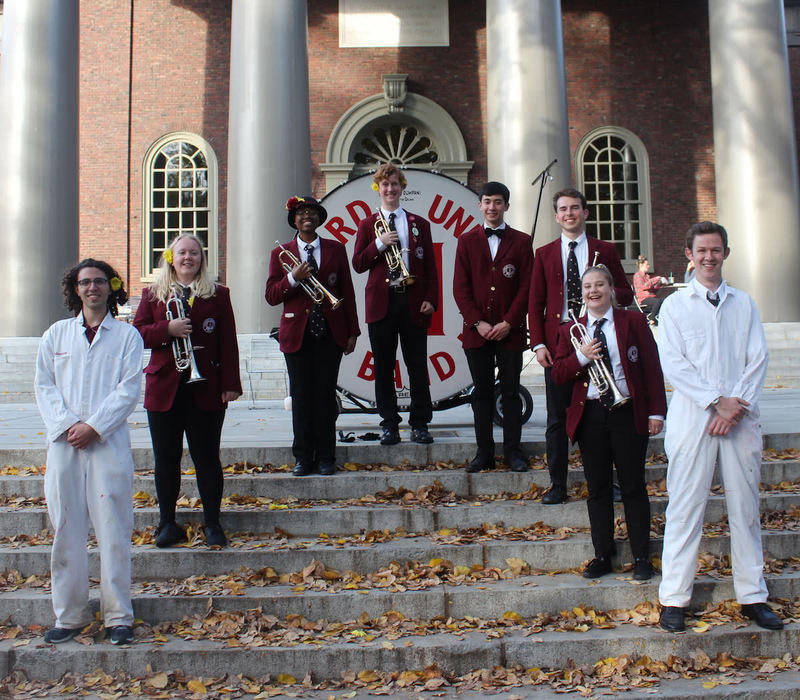 If you don’t see an instrument you play, don’t worry—you can a find a home in our illustrious prop crew. The Band wouldn’t be able to function without our prop crew. 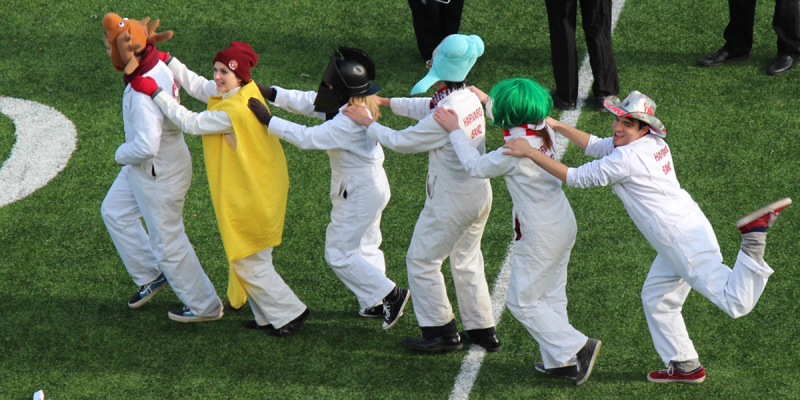 Clad in white jumpsuits, prop crew takes care of a huge number of miscellaneous tasks such as playing Bertha, driving the prop crew van, and—most importantly—making props to wield during the Band’s field shows. Best of all, you don't need to play an instrument to be in prop crew!